Home / Automotive / Cars / Video: What's With All The Hype About Colorado Traffic? Living in a big city means that you have to deal with the consequence of traffic. However, Colorado is seeking to reduce their ever increasing traffic problem by investing in a hyperloop transport system. The state officials have paired up with an engineering start-up company called Arrivo that is based in Los Angeles. The transport system will be directed by a track that can be used by passengers and vehicles and if the system proves effective, the state aims to create a network through the city center of Denver. It would mean that the whole region is connected which allows people to get to the other side of the city in just 20 minutes. Construction of the system will begin in a couple of months along the E–470 tollway in Commerce City in an effort to improve traffic flow on at least one route into the city. 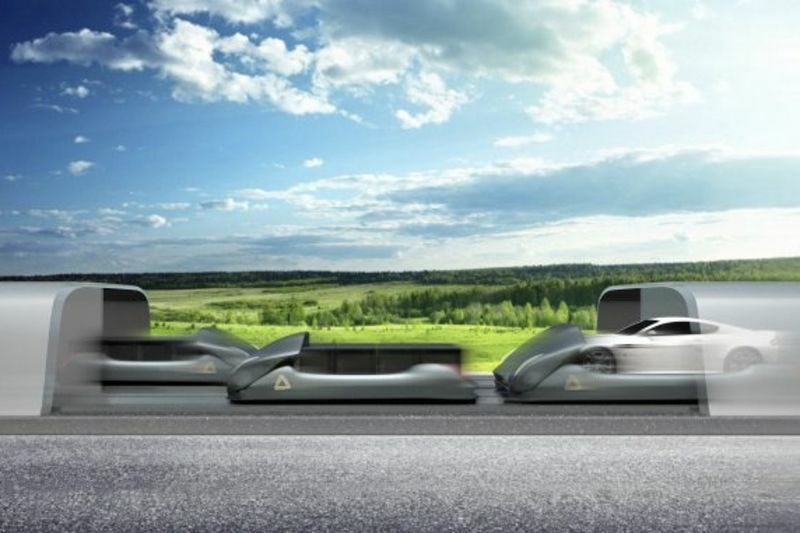 Arrivo hopes to design a system in which a vehicle will be able to drive into an Arrivo station, park it in a pod which will travel along an electromagnetic track at 200 mph. The pods will move using a linear electric motor at such high speeds that the pod levitates, similar to the mechanism that the maglev trains use. Historically, hyperloops allow travel at speeds of up to 700mph and connects large cities. Arrivo is a smaller version of this and aims to increase mobility within big cities. The state has been pushing projects that aim to alleviate the problem despite the recent introduction of autonomous trucks that took over the deliveries from employees. But these advances don't solve the root of the problem, being traffic congestion. Colorado is chasing down companies to launch pilot projects that have a promising future in easing the traffic issues and expand its economic development efforts. Could it be possible that the future for cars could be purely for recreation?